Quick Review: Why do Endurance Athletes Need Carbs? Carbohydrates provide fuel for your brain. They help with focus and motivation during hard workouts. Muscle glycogen (stored carbohydrate) is golden, you burn it during endurance and speed workouts. Carbohydrate is needed to burn fat. Carbohydrate consumed during exercise help to prevent muscle breakdown. Carbohydrates in the daily training diet replenish muscle glycogen stores depleted from training. Your liver also stores carbohydrate consumed at meals and snacks and send glucose into the bloodstream when needed at rest and during exercise. 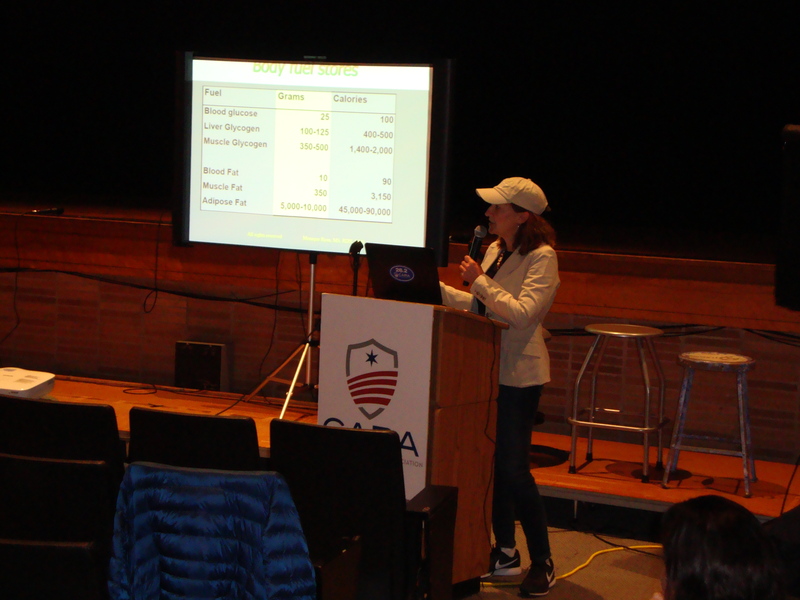 Presenting at the the Chicago Area Runners Association Chicago Marathon KickOff in May on behalf of the Gatorade Sports Science Institute. Web site design by Visible Logic, Inc.